If you were offered two identical jobs, one paid you $100,000 a year while you worked, but nothing if you were ever sick or hurt. One paid you $98,000 a year, and 60% of your income tax free if you were ever sick or hurt until you reached the age of 65 or recovered, which would you take? source: HIAA Source Book of Health Insurance Data 1999-2000. When you have a disability of any type, your time, energy, and emotions are all heightened as you begin the journey to learn all you can so that you can regain the best quality of life that you can, given your particular circumstances. And, if you are married, and/or if you have children, trying to communicate with them what is going on with you, as well as to your doctors, becomes a difficult chore also. With all of this chaos in your life, the absolute last thing that you need to worry about is money! What if I can't work any longer? How will the bills be paid? Perhaps you are saying that you do not need any disability insurance. Consider the following. The likelihood of needing LTC (obviously) increases with age. In 1991, 29.2% if those age 45- 64 had a disability; 44.6% between 65 and 74 had a disability; 63.7% between the ages of 75 to 84. 15.3% and 41.5% respectively had a severe disability. (Employee Benefit Research Institute, 1995) 80% of disabled persons are cared for at home or in adult day care centers. 72% of caregivers are family or friends. (Puget Sound Underwriters Journal). The cost of home care can run from $4.25 to over $200 daily depending on the level of skill needed (SF Chronicle, 1995). Caring for each Alzheimers patient will cost more than $213,000- on top of other medical expenses- over the remaining five years of their lives. (American Journal of Public Health, 1994). Over 99% of nursing home care is either custodial or intermediate care, not skilled care, and is not covered by Medicare or Medicare supplements (Journal of the American Society of CLU's, 1996). How Much Disability Insurance is "Enough"? Now, you know how much your STD and LTD will pay out each month. The question is, how much SHOULD YOU HAVE? WHY THE NEED FOR DISABILITY INSURANCE BENEFITS? What are the odds? : (2005) in the next hour 194 people will be injured in car accidents, 57 homes will catch fire, 230 people will die, and 1,027 will become disabled. * Today, we live harder, work harder and play harder than ever before. As a consequence, there has been a dramatic increase in disabling injuries and illnesses. * In the past 25 years, the number of severely disabled people ages 17 to 44 has increased 400 percent. While the number of people with protection has also increased, most Americans still have a disability income protection gap. * This is alarming when you consider in a year's time, chances are only one in 1,200 of you will need your fire insurance-generally considered a necessity for homeowners-but one in eight (8) of you will be sick, injured or killed. * The risk of becoming disabled will continue to increase. * Because of advanced trauma and cancer care, more people today survive illnesses and injuries that were deadly 20 years ago. In 1930, the average U.S. life expectancy was 61; today, it is 76; and by the year 2050, it will be 82. Today, there are 3.6 million Americans over age 65; by 2040, there will be 13.8 million. * With Americans now living longer, age has and will continue to have a profound impact on disabilities. According to the National Association of Health Underwriters, there are 3.74 disabilities per 1,000 people ages 45 to 49. This increases nearly five times more with age, to 15.18 disabilities per 1,000 people ages 60 to 64. * In addition, the traditional retirement age is moving up, and more people are likely to work part-time after retirement, thus increasing the risk of a disability later in their life. * More than 10.5 million people are starting their own businesses, consulting or working at home, according to the Bureau of Labor Statistics. And more women than ever are now working; many families today rely on two incomes. In the early 1900s, there were only 500,000 married women in the labor force. They represented just 4.5 percent of all married women. Today, there are about 39 million married women working outside the home (representing 60 percent of all married women), and 17 million of them have children under age six. * With more women working and families relying on two incomes, the need for disability protection has become greater, especially since women are twice as likely to suffer a disabling illness than men. And with more people working out of their homes and earning substantial incomes, the need for more flexible, individualized protection is on the rise. * Over the years, the causes of disabilities have changed in the workplace. * Today, disabilities due to psychiatric conditions, severe back pains, Carpal Tunnel Syndrome, muscle/tissue disorders and Chronic Fatigue Syndrome are increasing dramatically. Among the most common long-term disabilities (those lasting longer than three years) are circulatory and heart conditions, back disorders, psychiatric conditions, general sickness and subjective pain. * Common short-term disabilities (those lasting less than three years) include normal pregnancies as well as pregnancies with complications, injuries, muscular or skeletal problems, and psychiatric or substance abuse problems. About Disabilitykey.com & Carolyn Magura: Disabilitykey.com is a website designed to assist each person in his/her own unique quest to navigate through the difficult and often conflicting and misleading information about coping with disabilities. Click here to receive Carolyn 's easy-to-read, easy-to-follow direct guide through this difficult, trying process . If you are disabled, don't let this disabiling process disable you. Read Carolyns Disability Key Blog . Many people who have group Long-Term Disability insurance provided through their employer are under the impression that their income is properly and fully protected. Although this is a nice benefit to have, group Long-Term Disability insurance is usually not what people expect it to be. One of the most important parts of a Disability policy is the benefit amount it will pay in the event of a claim. With most group Long-Term Disability insurance plans, the benefit will be 60% of a person's income, up to a maximum benefit of $6,000 per month. Occasionally there may be a maximum of $10,000 per month, but not generally. There are three main concerns with group Long-Term disability benefits that the average person may not know or think about. First of all, when group Long-Term Disability insurance is provided by an employer, the benefits are paid on a taxable basis. So, although one may be under the impression that he/she is covered at 60%, in all reality it is much closer to 45%. In the case of someone who qualifies for $5,000 of monthly benefit, if we assume a 25% tax bracket, a $5,000 monthly benefit will only end up creating $3,750 of income. Most people would not be able to survive with a shortage of income this great. Although many people are unaware of this issue, it is an important point to consider. Additionally, group Long-Term Disability insurance will always have a maximum for monthly benefits. In a situation where the maximum benefit is $6,000, all employees earning above $120,000 will be capped off and thus will not truly be covered at 60%. Someone earning $150,000 per year will only have 48% of their income covered, which will dwindle down to 35% once the benefit is taxed. Again this is an issue that many people are not aware of, but can be severely affected by. The solution to the gaps existent in group Long-Term Disability insurance is to supplement a person's group coverage with individual Supplemental Disability coverage. It is a way of creating additional income that is paid tax-free and does not offset with other benefits such as Social Security. A person's income is his/her greatest financial asset, and should be protected as such. Michael Relvas is an Insurance Specialist in the Washington DC area. He works with individuals and businesses nationwide on obtaining Life insurance and Own-Occupation Disability insurance to satisfy their personal needs and circumstances. To learn about the options you have relating to Supplemental Disability insurance, call 1-800-817-4522 or request a Disability quote . Insurance insurance insurance that's all anybody ever talks about these days! But there's a reason why people talk about insurance so much, and it's because it is so important to so many different parts of all of our lives. I wish it wasn't so important because it bores me to tears to think about it, let alone talk about it but here I am writing an article all about insurance for you today anyway! Why? Well hopefully I can explain it in a way that doesn't bore you to tears and is helpful to you. Disability insurance is incredibly important and it's something that most people don't give a second thought to let alone purchase. "I will never get disabled - not me! ", that's what everybody thinks... the fact of the matter is, I've seen statistics that show that on average by the age of 37 a person is 3 1/2 times more likely to get disabled than they are to die. This continues to be the case until you hit the age of 68 when it switches and suddenly you become more likely to die than become disabled but we don't need to talk about that! The thing about it is, our medical industry is becoming better and better at saving people's lives. This gives people a false sense of security because they don't consider the fact that even though their life has been saved they may be disabled for many years to come and possibly forever. This becomes especially important if you do any kind of manual labor job, or even any job that requires physical activity of any kind because if you become disabled you may not be able to perform your job function anymore. And what do you do for money then? This is why disability insurance is so vitally important. It's not enough to get car insurance because that car wreck could disable you. It's not enough to get health insurance because it will cover hospital bills but it won't help you if you become disabled to pay your house payment and other bills. It's not enough to get liability insurance to cover the financial stability of your family because you may not die but merely become disabled in which case you still have to support them. No, all these things require that you also have disability insurance. So how do you pick the right disability insurance? First off look for one that is non-cancelable by the company that issues it. Make sure it's cancelable by you, just not by them! Next make sure that it's guaranteed continuable until the age of 65 at least. 70 to 75 years old is even better. Next make sure that there are no restrictive riders when your policy is issued. What you want in a disability insurance is to have the broadest coverage that you can get to cover as many different areas as possible. Next make sure that your premium cost doesn't increase before you reach the age of 65. That is to say, make sure there is no cost increase and that this is guaranteed in writing. 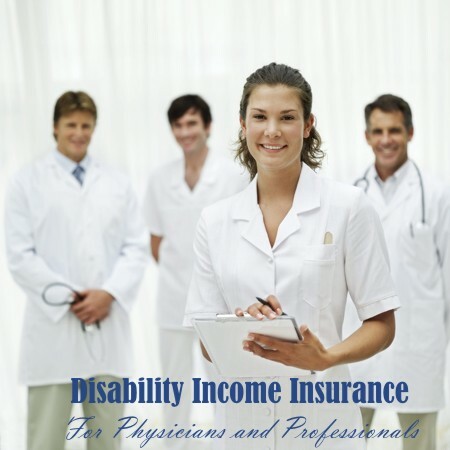 These are some of the more common things that you need to look for in a disability insurance. There are many other things that you could look for, but these main things will set you in good stead and send you firmly down the path to finding a good disability insurance. Jason Markum has been writing articles online for over thirteen years. When not writing about insurance, Jason runs a cool area rugs web site about 9x12 area rugs where he reviews large area rugs for your house and home.